"Why did my brother pick now for one of his reckless parties?" Lady Jane Blackmont asked. "You know he needs no reason for what he does," Sara said. "He's a duke, my lady. He needs no reason. The rest of the world is supposed to kowtow to his whims." "Apparently I'm supposed to play hostess for him. Why he had to pick now is beyond me. Surely he knows there's a storm brewing." Jane's stomach churned as the carriage kept on. "What are we to do if we don't find a coaching inn? Or worse yet, get stuck on the side of the road?" "I'm sure none of that will happen. We'll reach Blackmont Crest before you know it," her maid said. She pulled back the curtains that had been closed to keep the cold out. "We're almost there," she said. "How long will we be here?" Sara inquired. Jane had never been away in this sort of weather. Her father would have never allowed it. He was gone, the dukedom left to her older brother, who thought everyone's life revolved around him. "Do you know who's going to be at this house party?" Sara asked. "His usual friends I'm sure. His letter stated he'd run into an old friend from Eton recently. I don't remember his name, nor do I care. All of Henry's friend's are rogues in some fashion." "You never have been one to say no to His Grace, my lady." Henry was one of her weak spots. He knew it and took full advantage of it now that there was only the two of them. Their parents had been killed in a freak carriage accident five years earlier, leaving Henry with the dukedom and Jane his faithful sister. Until he found a woman to marry, he needed someone to keep some edge of sanity to his ways. At least until he found his duchess to marry. If that'd ever happen. "I know, but until he finds a wife, someone needs to see he doesn't go to hell." "There must be some ladies of fine breeding attending if he's asking you to attend," Jane said. "Who will be attending with their parents, I would hope." "His Grace would never invite you to one of his stag parties," Sara mused. Jane released a nervous laugh. "He'll not hear the end of it if he ever invites me to one of those." Jane was about to close the curtain when one of the horses spooked. The carriage careened over the road. Ice had set in. Could the driver regain control of the team before something awful happened? She tried to breathe and forget how her parents had died. It couldn't happen to her. Jane looked across at Sara, whose face had gone stark white. She was scared beyond words as the carriage swayed, tumbling and landing on its side. She was the last person Jane saw before everything went black. Jane didn't think she'd fainted. She looked around. Everything was covered in white snow, but the white was looking black as night. She felt in front of her and thought she felt the skirt of the dress Sara had been wearing. It was silent. Everything was silent. No sound of the horses or the coachman. They were situated on the side of the carriage, that much she knew. The door was above her. She needed to get out and get out quickly. She managed to stand, and with fumbling hands, she managed to get the door open. Now how would she get herself out? She heard nothing except the sound of Sara's breathing. "Sara! Sara! Are you all right?" "Yes, my lady. I think I am fine," came the faint reply. "Do you think you can help lift me up?" She heard rustling of fabric as her maid tried to reposition herself. "We're going to freeze to death if we don't get out of here," Sara wailed. "Which is why I need you to help me up. I'm sure William is chasing the team." As Sara began lifting Jane up through the door of the carriage, Jane noticed a large man standing in silhouette. He had dismounted his stallion and was shaking his head. "I'm not sure. 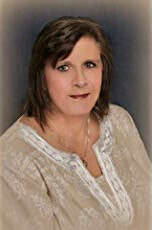 The last thing I remember is one of the horses being spooked and the carriage sliding across the road." "I don't believe so. My maid is still inside. We need to get her out." He shook his head. "You ladies have no business being out alone in weather like this." "If you must know, we were on our way to my brother's estate." "Who's your brother, if I might ask?" he rumbled. "Henry Blackmont, the Duke of Blackmont." "Henry's your brother? Well, don't fret. You're not but a few miles from his estate. Though in this storm, you ladies will be better off coming with me. I'm Norwood. My place is just down this road." Jane stood and stared at him in the falling snow. "Norwood. The Earl of Norwood? I remember you." "My man and I will help your maid out of the carriage. We'll get you to Norwood Manor. You can spend the night. My man will try and find your man and team, though in this snow, I doubt they'll go far." Jane pondered her limited options. 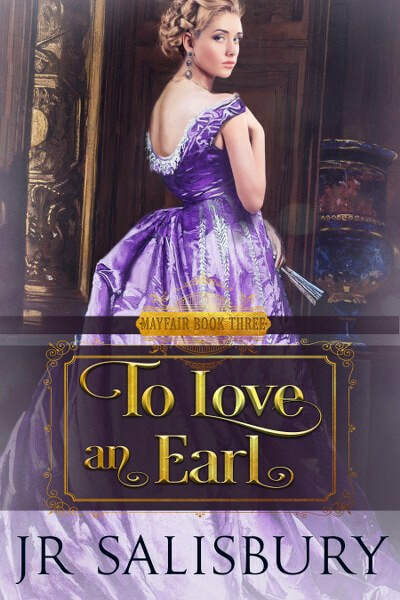 She knew she had no choice but to go with the earl. "Thank you, my lord," Jane replied. "As for the carriage, I'm afraid there's nothing that can be done until this storm subsides." "Can you get word to my brother? I would hate for him to worry needlessly." "I'll see it is done, though it might have to wait until morning." She stared at him thoughtfully. It'd been years since she'd seen him. His face was almost unrecognizable. With a hint of a beard, his jaw was chiseled. The beard, she surmised, made him look rugged. Annoyed and cold, she helped him as he sprung Sara free from the carnage. She remembered why she never cared for him. He was an arrogant arse. Arrogant, condescending, and sanctimonious. That's what he was. What was it about young men who claimed their titles? They were all the same. Her brother, Norwood. It was enough to make her want to scream. He brought his stallion around and picked her up effortlessly. He deposited her in front of his saddle. "Is there anything you need?" he asked. "My trunks, but I doubt that's possible right now." "Once your team and man have been found, they'll figure a way to get them to my home." She looked down at him in the fading light of the day. Prominent cheekbones, lush lashes, and full lips she hadn't noticed caught her breath. He was the most handsome, beautiful man she could recall ever meeting. He mounted the beast, swinging his leg over the saddle. "Are you ready?" "As ready as I'll ever be, I suppose." Very lovely cover! I like the palette.